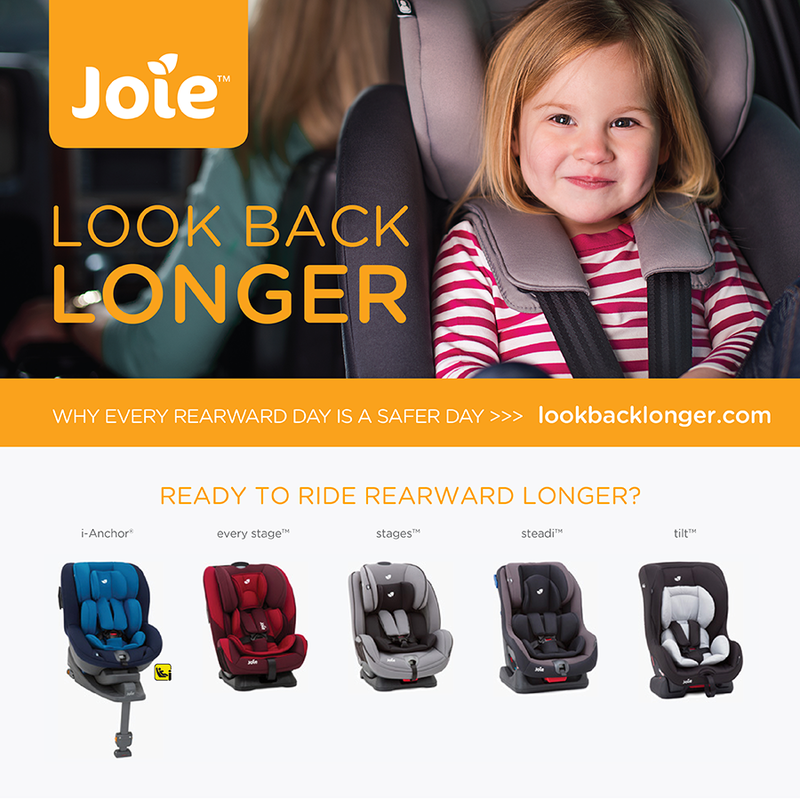 We are offering a UK family the chance to win one of Joie’s fantastic range of five car seats which ‘look back longer’ by being able to travel rearwards from birth up to 4 years of age/18kgs. You can choose from either the i-Anchor®, Every Stage™, Stages™, Tilt™ and Steadi™, all safe and comfortable rides for your precious load. At Joie, the mission is to keep kids safer. For this reason, Joie has consulted with doctors and child safety experts worldwide to better understand the effects of a car crash on a child’s growing body. They agree rearward facing as long as possible is the safest way to go. When a child is riding rearward facing, the car seat absorbs the impact, protecting the child’s head, neck and spine – even up to 73% more than forward facing. It’s clear, when it comes to travelling with baby, there is only one mode they should be in and that’s why Joie wants parents to spread the message on the huge benefits of being able to ‘look back longer’. When it could be so vital, surely this is a message worth spreading? Join in, visit www.lookbacklonger.com or meet like-minded parents on their Facebook page. For your chance to win visit us at www.facebook.com/lovedbyparents give us the thumbs up and write the words ‘Joie’ in the comment box on the LBP page. Competition closes at midnight on the 28th November 2015.